Here’s my inter­view from yes­ter­day on RT’s excel­lent Break­ing the Set show with host, Abby Mar­tin. We dis­cussed all things spy, sur­veil­lance, Snowden, over­sight, and pri­vacy. A fun and lively inter­view! Thanks, Abby. NSA’s big nose in big busi­ness from Annie Machon on Vimeo. I recom­mend look­ing at the Edward Snowden’s sup­port web­site, and also keep an eye open for a new found­a­tion that will be launched next month: Cour­age — the fund to pro­tect journ­al­ist­ic sources. Going Under­ground Ep 22 1 from Annie Machon on Vimeo. BBC World inter­view on UK Par­laiment­ary hear­ings on NSA/Snowden affair from Annie Machon on Vimeo. It sub­sequently emerged that they only agreed to appear if they were told the ques­tions in advance. So much for this already incred­ibly lim­ited over­sight cap­ab­il­ity in a notion­al West­ern demo­cracy.…. Here’s one for the diary, if you’re in the UK and value your basic, enshrined right to pri­vacy (UDHR Art­icle 12) in this NSA/GCHQ etc dystop­ic, pan­op­tic­an world. Come along to the Cryptofest­iv­al at Gold­smiths, Lon­don on 30th Novem­ber, where con­cerned hackt­iv­ists can help con­cerned cit­izens learn how to pro­tect their online pri­vacy. And if you believe the “done noth­ing wrong, noth­ing to hide” garbage, have a look at this. Crypto­parties, where geeks offer their help for free to their com­munit­ies, were star­ted by pri­vacy advoc­ate Ash­er Wolf in Aus­tralia just over a year ago. The phe­nomen­on has swept across the world since then, helped along by the dis­clos­ures of the hero­ic Edward Snowden. I hope to see you there. You have to fight for your right (crypto)party — and for your right to pri­vacy! Use it or lose it — and bring your laptop. 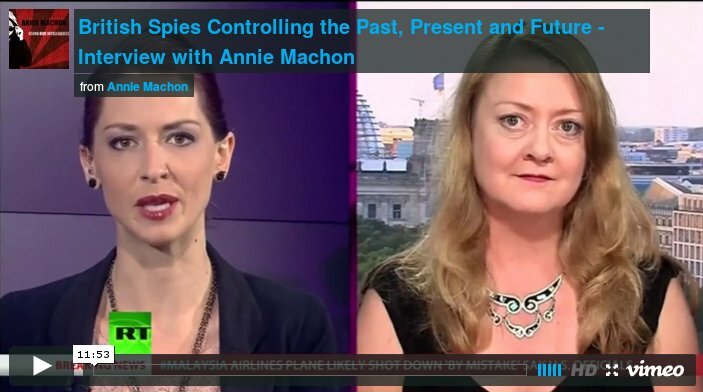 Spy account­ab­il­ity and the ISC — Chan­nel 4 News from Annie Machon on Vimeo. 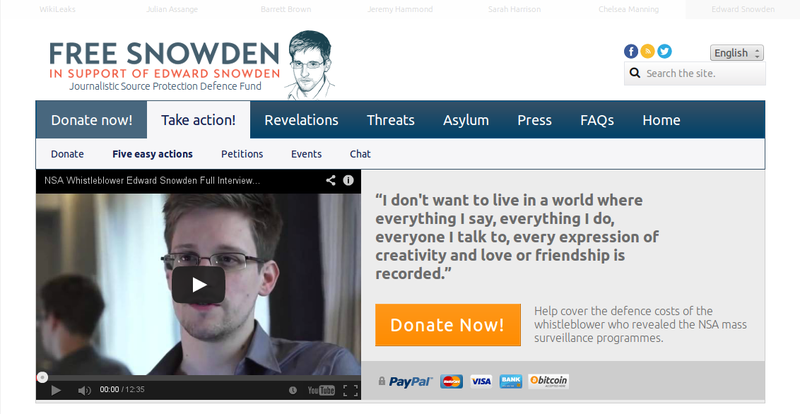 Just a short post to announce the new Edward Snowden web­site. Away from all the spin and media hys­teria, here are the basic facts about the inform­a­tion dis­closed and the issues at stake. And here’s anoth­er aide mem­oire of the dis­clos­ures so far. The impact of these dis­clos­ures is glob­al. Edward Snowden is simply the most sig­ni­fic­ant whis­tleblower in mod­ern his­tory. RT: Snowden files reveal spy agency’s efforts to escape leg­al chal­lenge from Annie Machon on Vimeo. Here’s my recent inter­view on Lon­don Real TV, dis­cuss­ing all things whis­tleblow­ing, tech, intel­li­gence, and the war on drugs. Thanks Bri­an and Colin for a fun hour! Annie Machon — Whis­tleblower — Lon­don Real TV from Annie Machon on Vimeo. First pub­lished by RT Op-Edge. Andrew Park­er, the Dir­ect­or Gen­er­al of the UK’s domest­ic secur­ity Ser­vice (MI5) yes­ter­day made both his first pub­lic speech and a super­fi­cially robust defence of the work of the intel­li­gence agen­cies. Read­ing from the out­side, it sounds all pat­ri­ot­ic and noble. And who is to say that Park­er does not believe this after 30 years on the inside and the MI5 group­think men­tal­ity being what it is? Let’s give him the bene­fit of the doubt. How­ever, I have two prob­lems with his speech, on both a micro and a macro scale. Let’s start with the micro — ie the dev­il in the detail — what is said and, cru­cially, what is left unsaid. First up: over­sight, which the spook apo­lo­gists have dwelt on at great length over the last few months. I wrote about this last week, but here’s some of that dev­il­ish detail. Park­er cor­rectly explains what the mech­an­isms are for over­sight with­in MI5: the Home Office war­rants for oth­er­wise illeg­al activ­it­ies such as bug­ging; the over­sight com­mis­sion­ers; the Com­plaints Tribunal; the Intel­li­gence and Secur­ity Com­mit­tee in Par­lia­ment. This all sounds pretty reas­on­able for a demo­cracy, right? 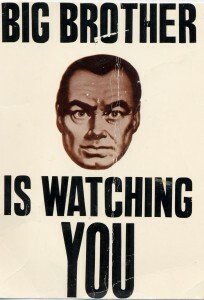 Of course, what he neg­lects to men­tion is how these sys­tems can be gamed by the spies. The applic­a­tion for war­rants is a tick-box exer­cise where basic leg­al require­ments can be by-passed, the author­ising min­is­ter only ever sees a sum­mary of a sum­mary.… ad infin­itum.… for sig­na­ture, and nev­er declines a request in case some­thing lit­er­ally blows up fur­ther down the line. Sure, there are inde­pend­ent com­mis­sion­ers who over­see MI5 and its sur­veil­lance work every year and write a report. But as I have writ­ten before, they are giv­en the roy­al treat­ment dur­ing their annu­al vis­it to Thames House, and officers with con­cerns about the abuse of the war­rantry sys­tem are barred from meet­ing them. Plus, even these ano­dyne reports can high­light an alarm­ing num­ber of “admin­is­trat­ive errors” made by the spies, no doubt entirely without malice. The com­plaints tribunal — the body to which we can make a com­plaint if we feel we have been unne­ces­sar­ily spied on, has always found in favour of the spies. Of course, the cur­rent Chair of the ISC, Sir Mal­com Rif­kind, has entered the lists this sum­mer to say that the ISC has just acquired new powers and can now go into the spies’ lairs, demand to see papers, and over­see oper­a­tion­al activ­it­ies. This is indeed good, if belated, news, but from a man who has already cleared GCHQ’s endem­ic data-min­ing as law­ful, one has to won­der how thor­ough he will be. While the com­mit­tee remains chosen by the PM, answer­able only to the PM, who can also vet the find­ings, this com­mit­tee is irre­deem­ably undemo­crat­ic. It will remain full of cred­u­lous yes-men only too happy to sup­port the status quo. Secondly, what are the threats that Park­er talks about? He has worked for MI5 for 30 years and will there­fore remem­ber not only the Cold War era, where Soviet spies were hunted down, but also the very real and per­vas­ive threat of IRA bombs reg­u­larly explod­ing on UK streets. At the same time hun­dreds of thou­sands of polit­ic­ally act­ive UK cit­izens were aggress­ively invest­ig­ated. A (cold) war and the threat of ter­ror­ism allowed the spies a drag-net of sur­veil­lance even then. How much worse now, in this hyper-con­nec­ted, data-min­ing era? One chilling phrase that leapt out at me from Parker’s speech was the need to invest­ig­ate “ter­ror­ists and oth­ers threat­en­ing nation­al secur­ity”. Nation­al secur­ity has nev­er been leg­ally defined for the pur­poses of UK law, and we see the goal posts move again and again. In the 1980s, when Park­er joined MI5, it was the “reds under the bed”, the so-called sub­vers­ives. 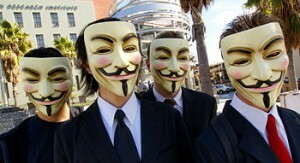 Now it can be the Occupy group encamped in the City of Lon­don or envir­on­ment­al act­iv­ists wav­ing plac­ards. So now for my macro con­cerns, which are about wider con­cepts. Park­er used his first pub­lic speech to defend not only the work of his own organ­isa­tion, but also to attack the whis­tleblow­ing efforts of Edward Snowden and the cov­er­age in The Guard­i­an news­pa­per. He attempts to seam­lessly elide the work and the over­sight mod­els of MI5 and GCHQ. And who is fall­ing for this? 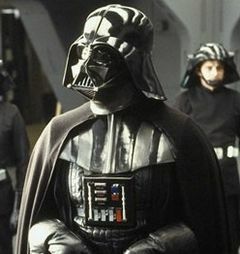 Well, much of the UK media appar­ently. This mud­dies the waters. The con­cerns about Snowden’s dis­clos­ures are glob­al — the TEMPORA pro­ject affects not only the cit­izens of the UK but people across Europe and bey­ond. For Rif­kind or the For­eign Sec­ret­ary to com­pla­cently say that GCHQ is over­seen by them and everything is hun­key-dorey is just not good enough, even for the hap­less cit­izens of the UK. How much more so for those unrep­res­en­ted people across the world? The IOCA (1985) and later and much-abused RIPA (2000) laws were writ­ten before the UK gov­ern­ment could have con­ceived of the sheer scale of the inter­net. They are way out of date — 20th cen­tury rolling omni­bus war­rants hoover­ing up every scrap of data and being stored for unknown times in case you might com­mit a (thought?) crime in the future. This is noth­ing like mean­ing­ful over­sight. Unlike the UK, even the USA is cur­rently hav­ing con­gres­sion­al hear­ings and media debates about the lim­its of the elec­tron­ic sur­veil­lance pro­gramme. Con­sid­er­ing America’s mus­cu­lar response after 9/11, with illeg­al inva­sions, drone strikes, CIA kill lists and extraordin­ary kid­nap­pings (to this day), that casts the UK spy com­pla­cency in a par­tic­u­larly unflat­ter­ing light. Plus if 58,000 GCHQ doc­u­ments have really been copied by a young NSA con­tract­or, why are Park­er and Rif­kind not ask­ing dif­fi­cult ques­tions of the Amer­ic­an admin­is­tra­tion, rather than con­tinu­ing to jus­ti­fy the anti­quated Brit­ish over­sight sys­tem? Without free media, where we can all read, write, listen and dis­cuss ideas freely and in pri­vacy, we are all liv­ing in an Orwellian dysto­pia, and we are all poten­tially at risk. These media must be based on tech­no­lo­gies that empower indi­vidual cit­izens, not cor­por­a­tions or for­eign gov­ern­ments. The Free Soft­ware Found­a­tion has been mak­ing these recom­mend­a­tions for over two dec­ades. The cent­ral soci­etal func­tion of pri­vacy is to cre­ate the space for cit­izens to res­ist the viol­a­tion of their rights by gov­ern­ments and cor­por­a­tions. Pri­vacy is the last line of defense his­tor­ic­ally against the most poten­tially dan­ger­ous organ­isa­tion that exists: the nation state. There­fore there is no ‘bal­ance between pri­vacy and secur­ity’ and this false dicho­tomy should not be part of any policy debate.